In the land of Pure, Balochistan is generally considered as a remote turbulent province. People don’t know much about it and about what’s happening there. They know that Pakistan conducted its nuclear tests in Chagai, which is situated somewhere in Balochistan. There is a general apathy towards Balochistan by Mainstream media and most of people outside this restive province. On 25th January, a shepherd found some parts of human bodies buried in Totak area near Khuzdar, second largest city of Balochistan. Upon his information the district administration dug the site and a mass grave was discovered. Couple of other mass graves were also discovered from the same site. Total number of bodies recovered from the grave is disputed, Asian Human Rights gave the figure of hundred plus, Baloch nationalists are quoting the figure between 155 to 300, Balochistan government has quoted the figure of 13 bodies. It’s normal for a government to quote the lowest possible figure for casualties in any tragic situation. Even if one accepts the government figure of 13 still this is grave case of human rights violation irrespective of whom the buried people were and who killed them. However due to apathy towards Balochistan there was complete silence over this matter in mainstream media, except some sporadic mentions, and in social circles of society. This issue would have been the biggest news scope of the year if this grave was discovered in Lahore or Karachi. Pakistani media chose to ignore this issue and instead started highlighting normal attention diverting issues. Molana Fazal-ur-Rehman’s statement against Jeans wearing women engulfed most of media spotlight the following day. Although Molana’s statement was absurd but it didn’t deserve the attention that it got. Then there was the issue of Veena Malik’s retirement from Show Biz. People were fed with all possible things about Veena and jeans wearing women but kept in dark about the mass grave discovered in Balochistan. Media is not the only one which ignored the Mass grave issue. There are also human rights organizations that observed complete silence over this matter. Amnesty international which released a detailed report about victim of drone attacks, few months back, was also silent about this matter. This apathy towards this gruesome act proves selective application of human rights by human right organizations and pressure groups. There is also a vibrant civil society which organizes sit-ins and arranges walks for different issues. When it comes to Balochistan civil society also shows its apathy. Only the Awami Workers Party, a left wing working class party, protested in Lahore against the discovery of Mass graves. There is common realization in Balochistan that their Pakistani brethren are not bothered by what transpires here and this has been reiterated by apathy of civil society on the mass grave issue. 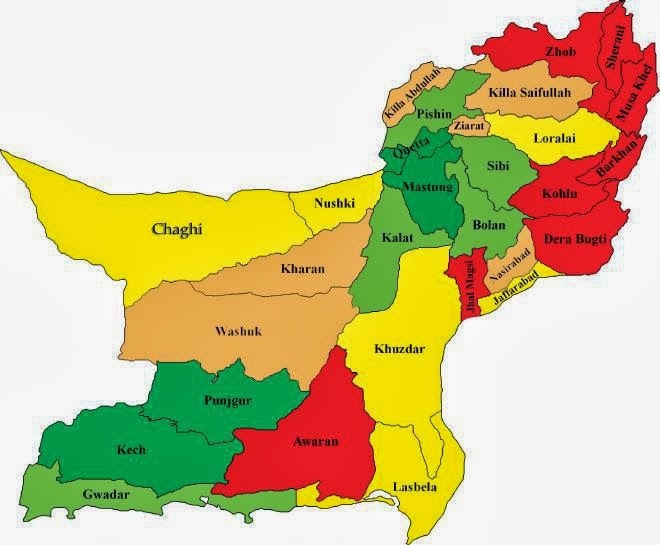 Why is Balochistan ignored by media, civil society and liberals? Media ignores Balochistan mainly due to pure commercial reasons, not to mention the government’s pressure of ignoring Balochistan. News channels get their revenue from ads which depend on TV ratings. People Meters determine these ratings and there is not a single People Meter installed in Balochistan. There are 675 People Meters out of which 365 are installed in Karachi only. So by covering Balochistan, news channels can’t afford to reduce their ratings and lose precious revenue. No one should expect media to be socially or ethically responsible and cover the Mass grave like issues regardless of commercial stakes. Media operates for pure commercial reasons and prioritizes its economic interests. Most of the left wing liberals of Pakistan also ignore Balochistan. They are vocal about Shia Genocide, Taliban terrorism etc. Although these issues also merit attention and it’s really good that they are vocal about them but Balochistan’s problem is much bigger in magnitude. I would call it selective liberalism, which such people practice and ignore Balochistan. They turn their eyes away from Balochistan like ostrich and completely ignore the Issue. Their indifference to Balochistan has no impact on their liberal credentials because their liberalism is not subject to certificates of liberalism from people of Balochistan. Discovery of mass grave in Balochistan is human rights violation of mythical proportions. This issue must have stirred the inner most fibers of soul of every Pakistani but unfortunately that’s not the case. Only people of Balochistan and few others are raising voice for this issue. An independent and impartial inquiry should be conducted in this matter. We should not make any early conclusions about perpetrators of this mass crime before an inquiry although it’s obvious that who is behind it. A full-fledged inquiry in this matter only will bring some legitimacy to the Balochistan government which has failed to react appropriately to this matter and let down people of Balochistan once again.